Wolvie is as beautiful a boy as his daddy. He is designed to make a great conformation boy but will excel in any thing he does. He is so fun to watch with his super personality that is a great combination of Hope and Taun Taun. He currently has a 2018 litter on the ground with River so check out the Current N Planned puppies page to see what is available. Wolvie is from lines of many champions and MAS foundation stock including his grandsire Patchworks Houdini, his dam who is an International Champion, his great grandsire Multi Champion Radiant Mar A Lago Ready For Take Off (Pilot), his great great, grandsire GR CH Taycins Black Bear of Thistle Creek (Bear) and many more! 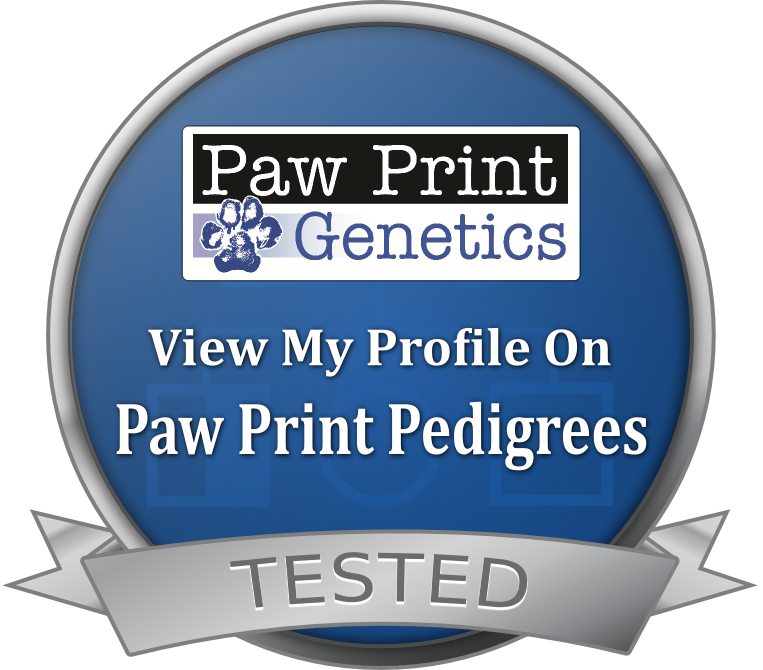 His sire and grand dam are both tested in herding as well. His completed health tests are displayed below. We will be getting this boy in the conformation ring and/or performance field soon so keep your eye out for him-- he is going to do well! 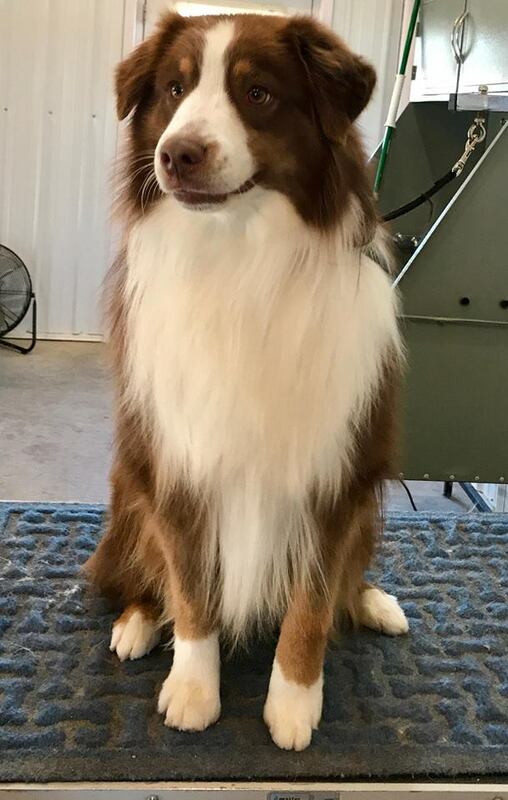 Kix is from lines of many champions and MAS foundation stock including his grandsire Patchworks Houdini, his dam who is an International Champion, his great grandsire Multi Champion Radiant Mar A Lago Ready For Take Off (Pilot), his great great, grandsire GR CH Taycins Black Bear of Thistle Creek (Bear) and many more! His sire and grand dam are both tested in herding as well. His completed health tests are in and the results are listed below! This boy has the Aussie quality in a smaller- yet big- package. Even though he is a bit over sized he has passed on his great genes. Kix earned his National and International Puppy Titles with IBACA in November 14 & 15, 2015! 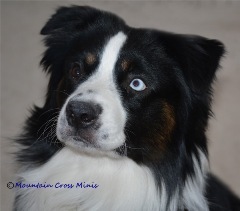 Kix has earned five points towards his AKC Championship in 2016 ! Keep on going big buddy! What a fun boy Taun Taun is! He is forever loyal and has a friendly, protective spirit. If you take the time to get to know him he is curious, active and ready to be your friend. 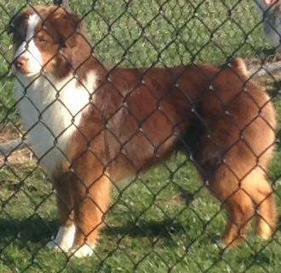 He stands at 16 3/4 inches, has good bone, nice ear set, beautiful eyes, and herding mentality. 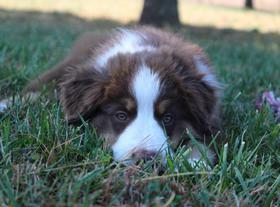 He has earned his Instinct Tested certificate with AKC and will be continuing his herding training this year. 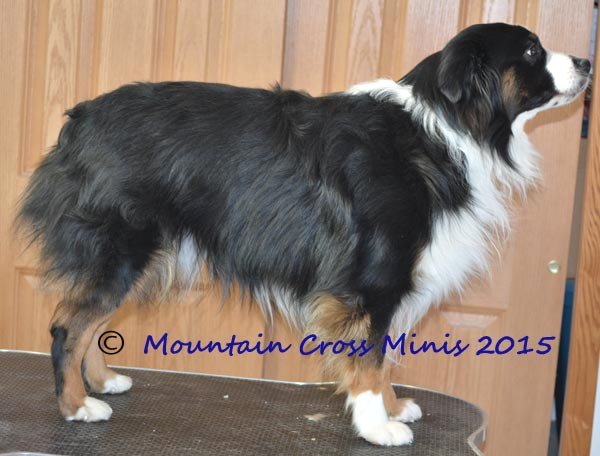 He comes from a long line of champions and foundation dogs including Taycin's and Patchworks. Taun Taun sired three litters to date and we are very please with the results! Three of his progeny are in the conformation ring and doing quite well. He will have one more up and coming conformation boy in the ring 2017. Look for their information on the Titles And Fun Stuff page. We are looking forward to seeing what lovely pups he will produce in the future! He is being offered to limited females soon so don't hesitate to ask.